Meet local authors from the DMV area and hear first-hand as they describe and introduce their books. Learn more about the stories behind the stories, their inspirations, and upcoming projects. Bagels and coffee served. Come find your next must-read author! Appropriate for all ages and free to the public. 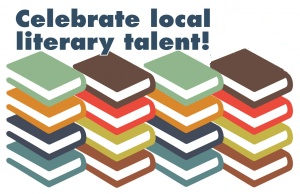 The Bender JCC’s Local Authors Fair will take place on Sunday, March 24, 10:00 AM – 12:00 PM at the Bender JCC. From 10:00 – 11:00 AM featured authors will be given two minutes to pitch their books to a captive audience. From 11:00 AM – 12:00 PM, all featured authors will be provided with a table to sell their book(s) and speak to attendees. * Attendance for this event is free and open to the public.